Every year, without fail, Apple sells a ton of new iPhones. And every year, the company finds a way to spin the news into a press release about “a new record.” This year is no different: Apple sold 13 million iPhone 6s and 6s Plus models in three days. A new record! Based on our initial impressions, the iPhone is a terrific phone. It’s even sort of waterproof! 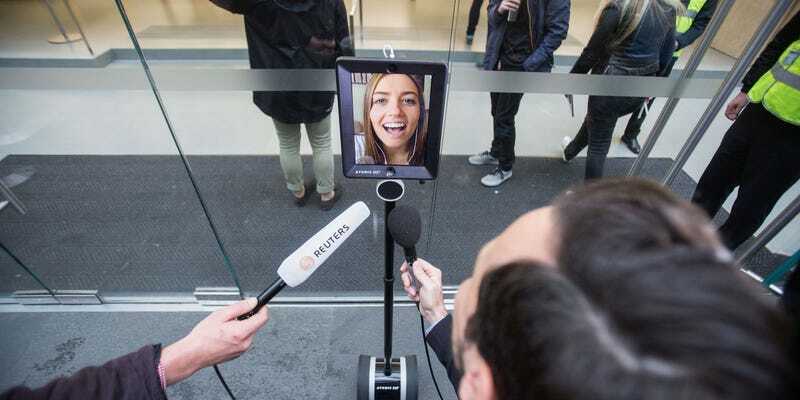 The new phone is so exciting that a robot waited in line to buy it for the first time ever—see above. Apple being Apple, the world’s most effective marketing machine, millions and millions more people will buy the new iPhone, especially since Apple is now rolling it out in 40 more countries. We’ll see if Tim Cook and company will figure out a way to break a record there, perhaps bragging about the most units sold after 8pm on Wednesday nights over the course of four weeks. That would be a record!